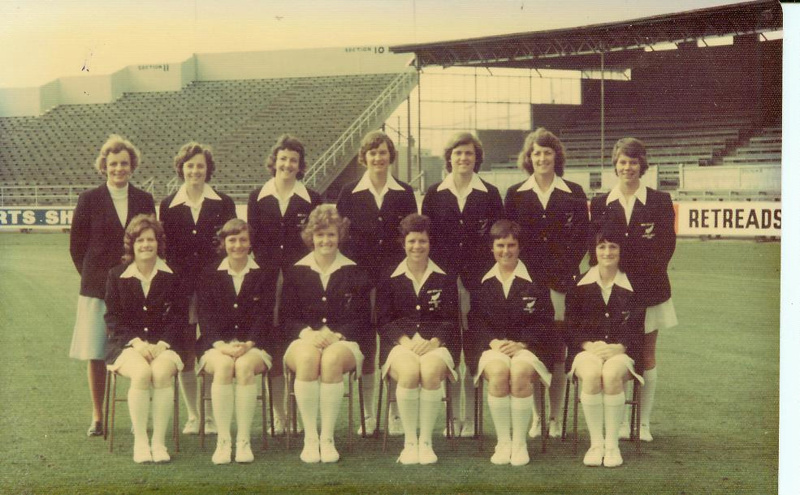 About this objectNew Zealand Women, Carisbrook 1977. Team photographed in whites with blazers. Test against India.